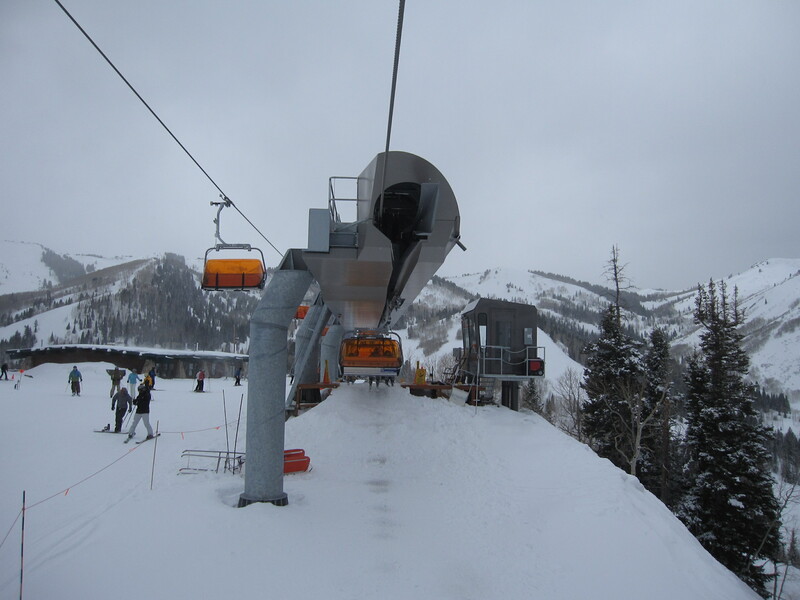 Arriving at the top before the chair parking facility was completed. Looking up from near the bottom terminal. Are there any charging rails in the mid station? 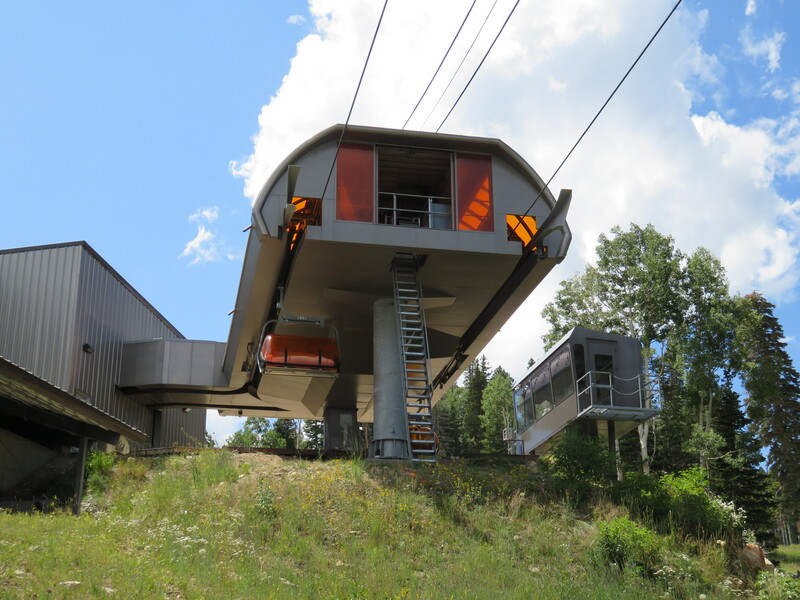 Someone told me on a discord server that this lift got bubbles because PC didnt want people falling in the snowmaking pond that the lift goes over. Like a extra safety bar. Yes. There are signs on the towers saying put bar and bubble down. Before you go over the snowmaking pond. Yes there are people who dont care and just ride over it without not bar/bubble. 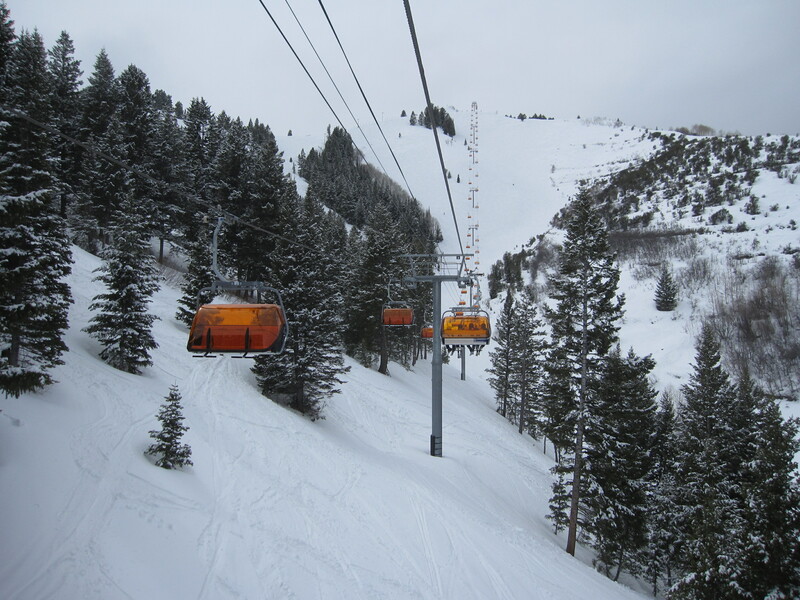 Who get yelled by the lift operators at the top (Usually). 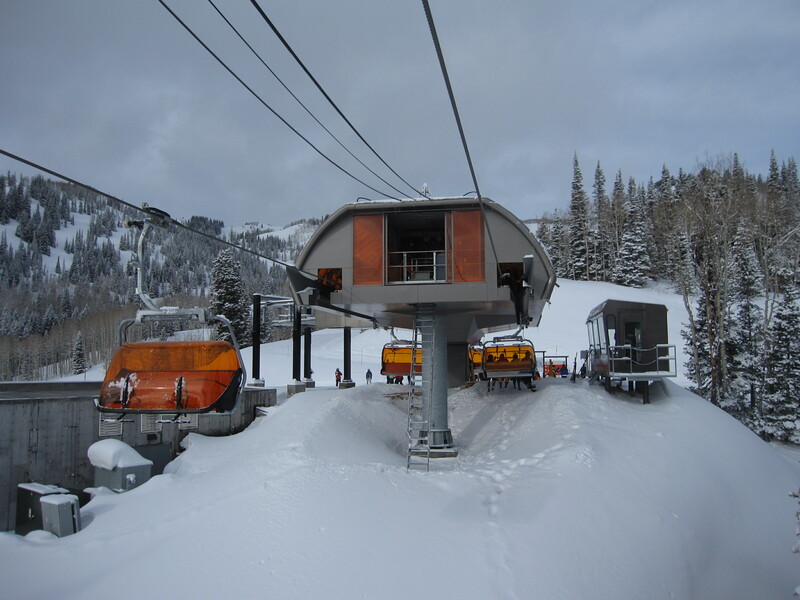 Note that the top station and the snowmaking pond are somewhat close together. What about just pulling the bar down and not the bubble? Will you still get yelled at? That comment of mine was uncalled for. There are signs on the towers before the pond lower bar and bubble. I seen people get yelled at but usually you get lucky if you decide to ride with everything raised over the pond. Note that the pond is VERY COLD and it wont take long if you somehow fall into the pond. As I said above someone told me on discord that the lift has bubbles because of the pond. If they wanted so bad for people to put the bar down they should have used an automatic system, takes the choice away from the rider and ensures safety. Why am I a clown for not riding with the bar down? As a snowboarder I find the bars to be very uncomfortable as they are not very accommodating for the way a board hangs from my leg when sitting on the chair. 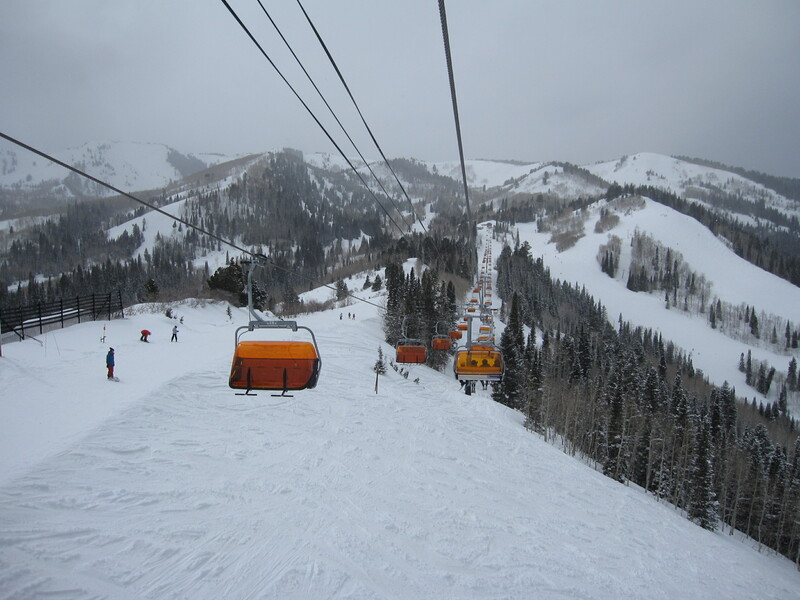 And after 40+ years of riding chairlifts, I’ve never fallen off of one nor has anyone on my chair. 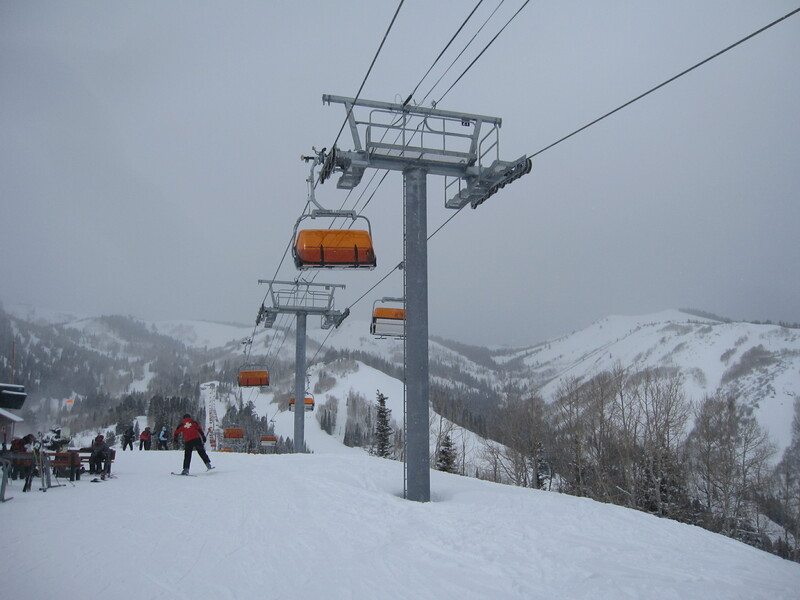 so please explain to me why after numerous decades of chairlifts operating without bars why they’re necessary to use? Why am I a clown for wearing a seat belt? As someone who chooses to wear jackets with big shoulder pads from the 80s, I find using seat belts to be uncomfortable and restricts my movement in the car. So please explain to me why I have to use one since I’ve been driving thousands of miles/year for over 20 years and I’ve never been in an accident. The logic is sooooo compelling. Anybody know the cost of this lift? I seem to remember it costing around $14,000,000. Will they make it red? This has six-pack line gauge width, maybe to accomodate the midstation? Count the front vertical rails on the towerheads here vs. Iron Mountain, built the same year. Four across instead of three. but the number of windows on the ends of the terminals is the same as other quads at four while most six places have 5. also visually the tower heads look narrower than 6 place ones. I doubt they are that wide, possibly slightly wider than a normal quad. 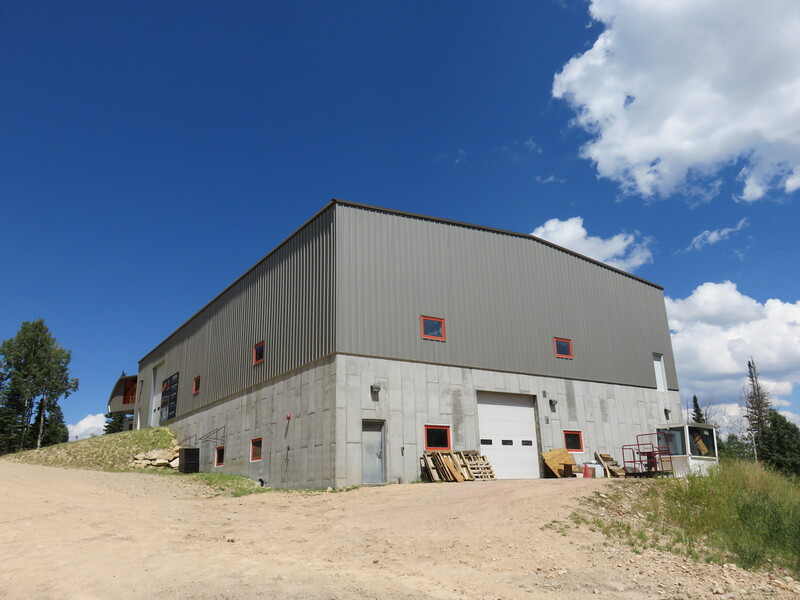 Powder Seeker at Big Sky has the 6.1 meter line gauge which will result in the terminals having 5 windows. 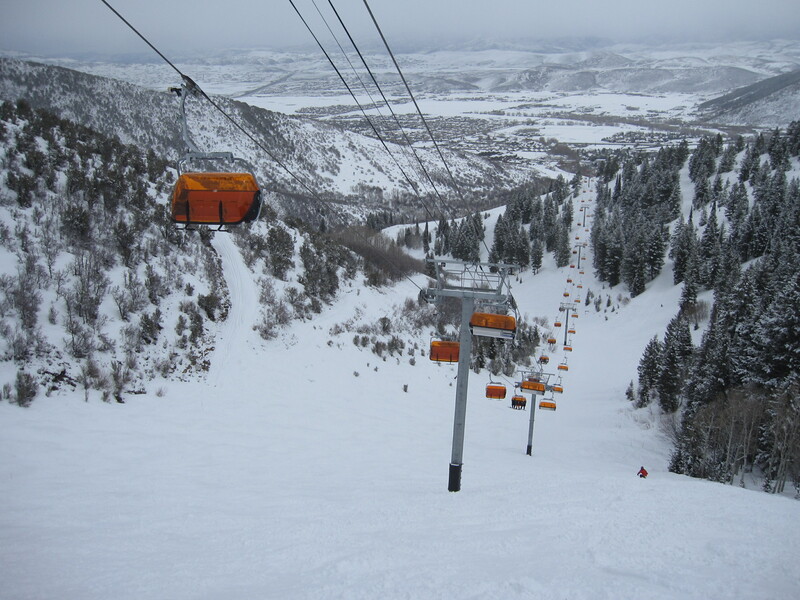 Most non-bubble 6 packs have 4 windows with the outer two being wider than the inner two (Wildcat Express @ Snowbasin). 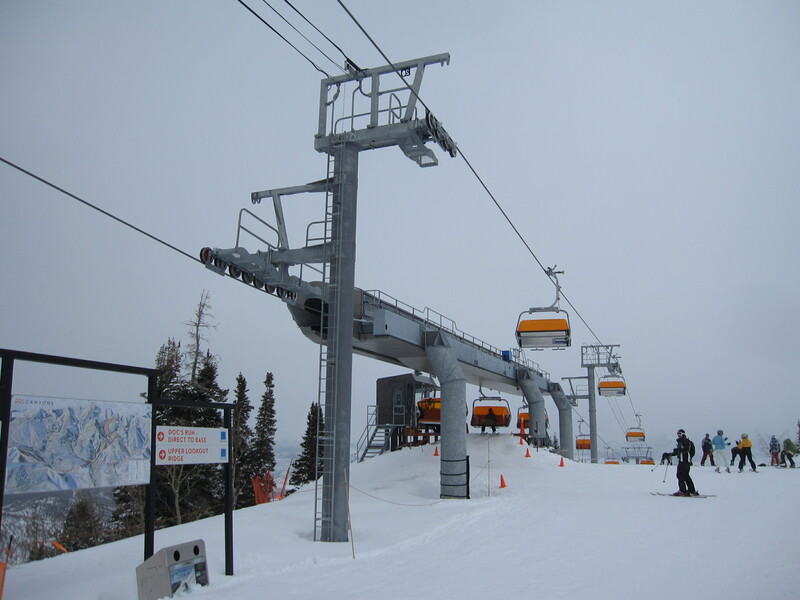 High speed quads can have one of two line gauges with the wider one having all 4 windows the same (Facelift @ Whiteface) and the narrower one with the outer two windows narrower than the inner two (Lowell Thomas Express @ Tremblant). 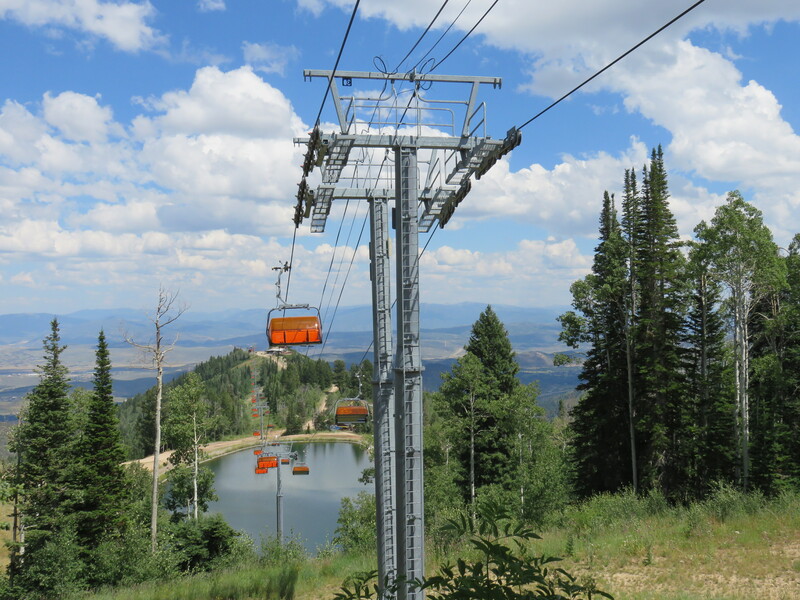 Some low capacity gondolas were built with the wider quad gauge (Sweetwater @ Jackson Hole). Bubble chairs are so cool. I’ve only been able to ride 2 of them. 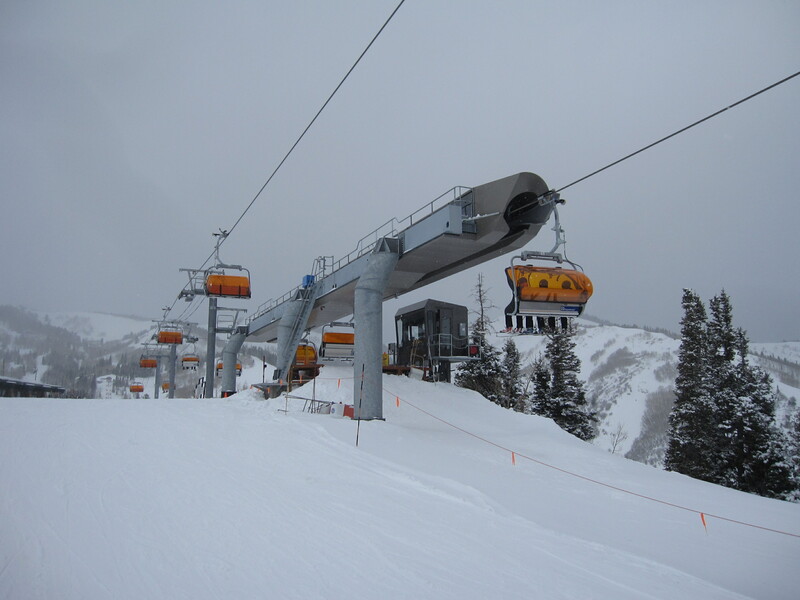 American Flyer at Copper Mountain, and Teepee Town LX at Sunshine Village. I rode 3 bubble chairs. Wizard and solar coaster at whistler and this chairlift. Too bad wizard and coaster are no longer there. 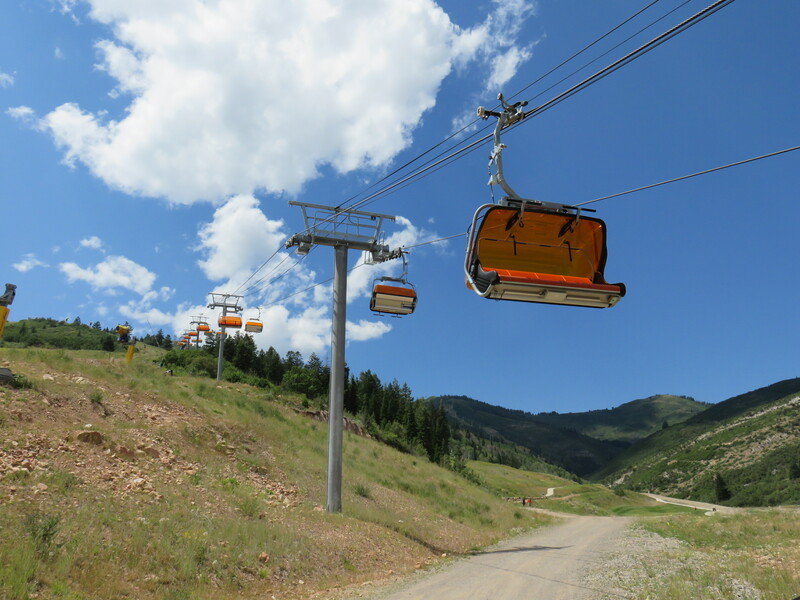 But the new gondola is way better. I find it interesting that they leave the chairs on the line during the summer and rarely use the parking barn. Does anyone know what the name of the design of the mid station is? It doesn’t seem like a Dopplemayr CTEC design, and is very minimalistic. 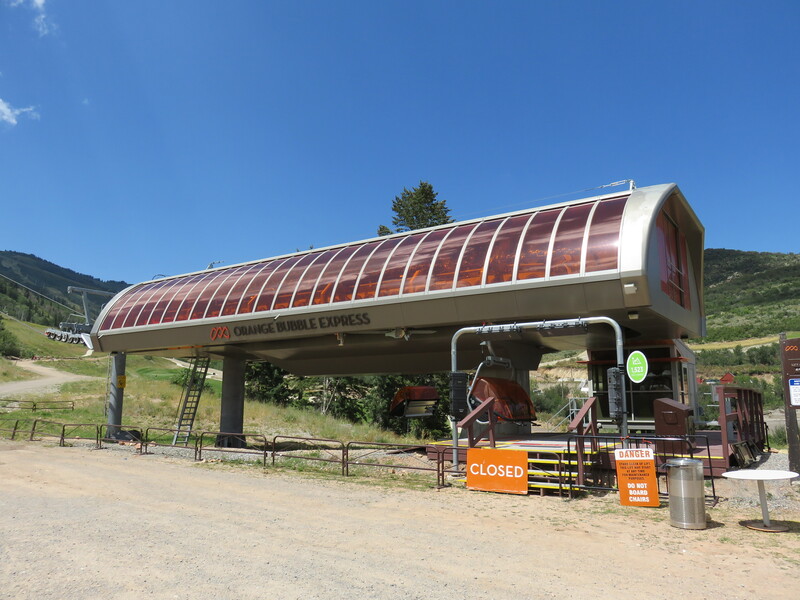 The Quicksilver gondola seems to have a similar angle station, at least as far as the outer aesthetic goes. I think it is an Agamatic (Italian) design. 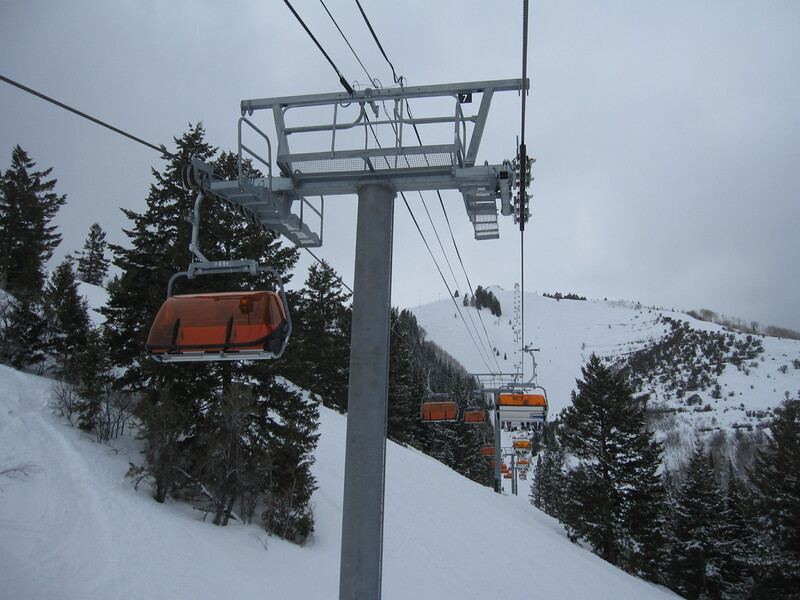 With regards to it not being very prevalent in North America, it seems like new lifts these days infrequently have mid stations. 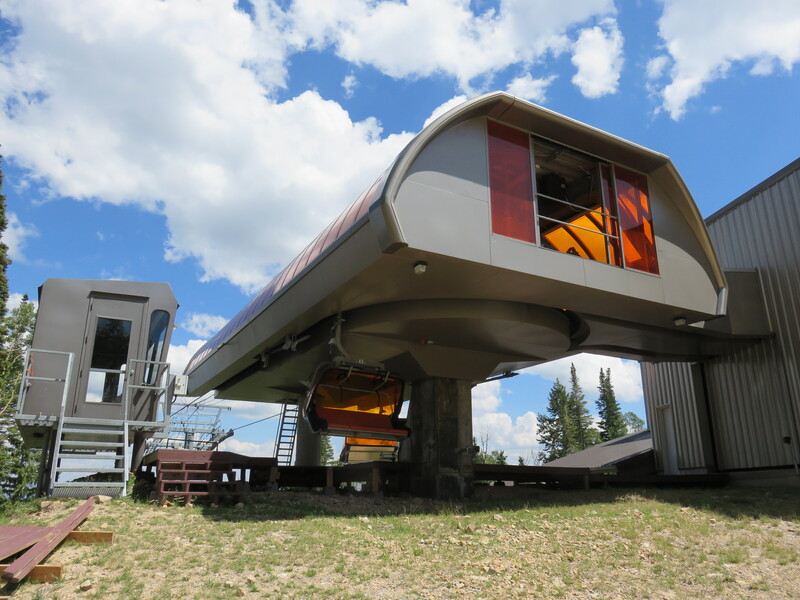 In the case of this lift, the mid station allowed for the removal of the Golden Eagle lift, but if you ride all the way to the top, you can get down to Red Pine Lodge easy. 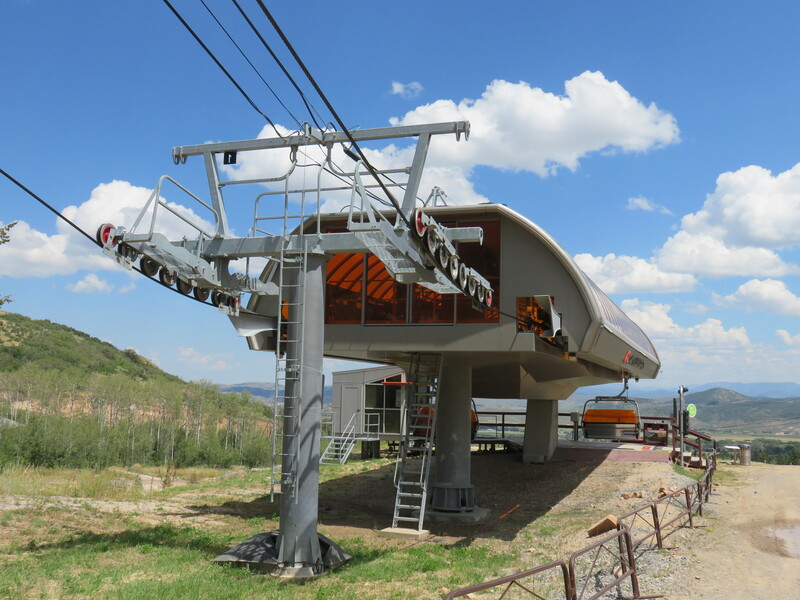 I can’t wait for Sunrise Express, as this lift, along with the gondola can get backed up during the morning rush. It’s often called the Tunnel-style Uni-G (I’m not sure if that’s its official name). Mechanically it is the same as any other Uni-G, but the enclosure as you said is minimalistic. 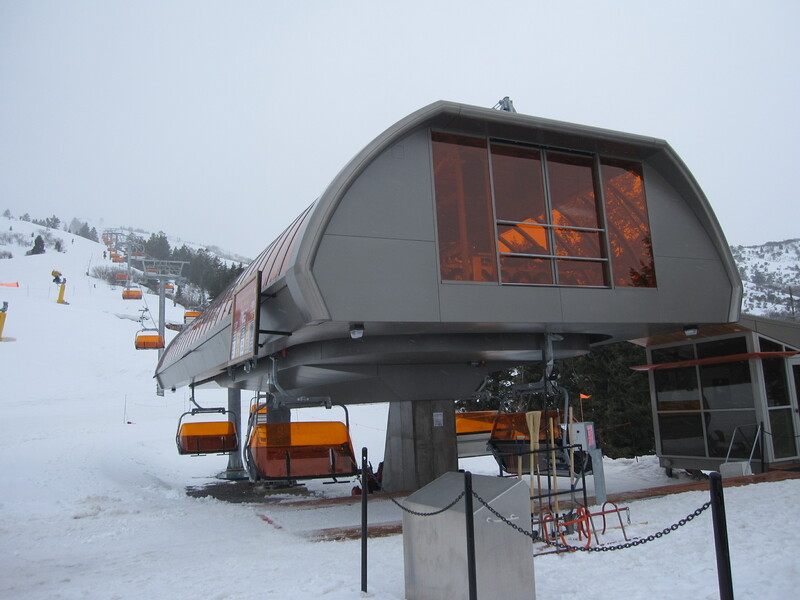 The only others that I can think of in North America are Quicksilver and the mid-station on Millard at Le Massif, Quebec. There are probably more. They are much more common in Europe.